Starting January 2019, residents will be able to pay for the Housing and Meal Plan Charges in the same place they pay for their Tuition. This also means that all payments will go through University Income Accounting & Student Loan Services. If students need to spread out their payments, there are a few payment plans for students to choose from, or they can choose to pay the full semester cost by the due date. How much does it cost to live on campus? Housing costs vary by each room type. Some room types are required to have a meal plan, while others are not. We have some exciting updates for Spring 2109. For your convenience, tuition and housing fees will now be combined into one area. You will be able to see the full detail of what is being charged.Please see University Income Accounting’s website for more information. Charges from HRE will be due on the same date that tuition is due. If you wish, you may setup a 4 or 5 month payment plans to spread out the costs. 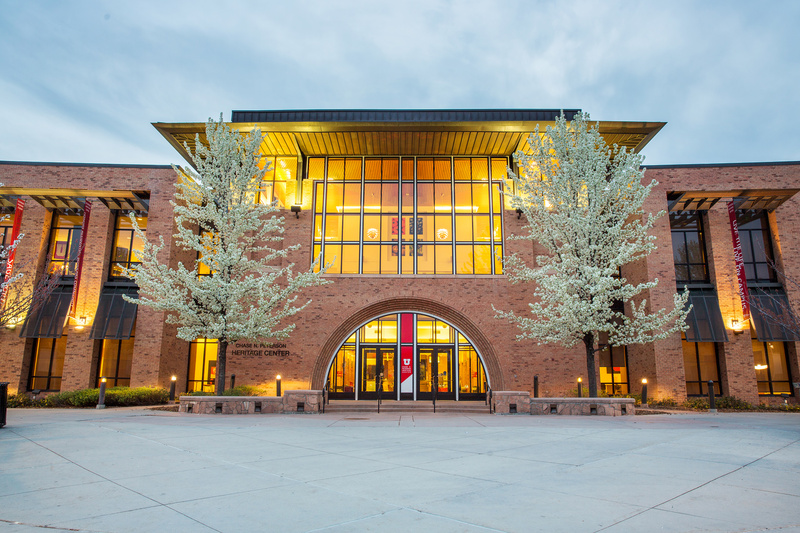 The U of U works with a secure third party provide, Nelnet, who will withdraw the monthly amount from your designated domestic checking or savings account, or charge your credit card, the same day each month. Because you manage your plan, you can choose your method of payment, and the payment plan. Please see the payment schedule below if you choose to pay monthly. Use the payment estimator tool to estimate your monthly tuition payments. You can use the rate information on the Housing & Residential Education rates page to add to the plan your estimated HRE charges. You do not have to create a payment plan for the full amount. You can make a payment on your account and create a plan for the remainder, as long as your account is paid in full by the due date or you are signed up for a payment plan for the difference. If you are a student, you must login to your CIS account. From the main menu, click on Tuition Bill/Pay. Follow the payment plan links and instructions in order to input your domestic banking account information, or bank information. What else is changing with the new payment system? Q: Is there a fee to enroll? A: Yes. You will incur a one-time fee of $35 for each term you enroll. This fee is nonrefundable and will be deducted from your designated checking or savings account, or bank card account, at the time you enroll. Q: If I have multiple students, do I pay only one enrollment fee? A: No, Each student will be assessed an enrollment fee. Q: Do I have to re-enroll each semester? A: Yes. Your payment plan will be term-specific. A: Use the Tuition Estimator and the HRE Rate information to estimate your monthly payments. Q: Can I adjust monthly payments after I sign up? A: Yes. Your monthly payment amount will be adjusted if you add hours or have any additional charges assessed, or have a credit applied towards your balance. Balances will automatically be adjusted after the tuition deadline, and each month thereafter. Q: Can my plan be cancelled? A: Yes. You may cancel your play at any time, however the $35 enrollment fee is nonrefundable. If you no longer wish to participate in the payment plan, you will be subject to the regular billing terms of the University, which will cause your balance to be immediately due in full, a hold on your records, and a $60 late fee. Q: Are there any late fees? A: If you have an unsuccessful payment. Nelnet will assess a $30 fee and retry the payment on the 5th of the following month. If both transactions are unsuccessful and you miss a payment, your payment plan will be cancelled. you will be assessed a $60 late fee, the balance will be due in full, and a registration hold will be placed on your student account. Q: Can I use the payment plan to bypass a registration hold for a past due balance? A: No. If for any reason your balance due is not paid by the time registration opens, a registration hold will be placed on your account and you will need to pay your balance in full before you will be allowed to register. Q: How will the payment plan payments be reported on my Form 1098-T? A: Payments made from your bank account in the months of January through November will be reported on the 1098-T for that current tax year. Payments made in December for Spring semester will be reported on the following tax year. Q: Is there a maximum payment amount? A: Yes, you may only pay up to the amount of tuition and housing charges assessed for a single term. Q: When are refunds issued if an account is overpaid, or a plan is cancelled and a refund is due? A: Depending on the type of payment, refunds will begin after the drop/add date. Checks have a 20 business day waiting period, and E-Checks have a 15 business day waiting period. Bank card refunds will begin after the drop/add date. Credits from Housing will be refunded after HRE has reviewed your account. Residents who have financial aid and scholarships over and above the cost of their tuition and fees will have the remaining aid automatically applied to their housing and meal plan bill. Residents will no longer need to request this separately or in Housing U. Any remaining credit, after all tuition and housing charges are paid will be refunded back to the student. Default on a payment plan will result in the cancellation of the plan and the balance immediately due. A registration hold will also be placed on the student’s account, and a late fee will be assessed. The Housing Application and Reservation Fees will still be paid through Housing U as they occur during the Housing Application and Room Reservation processes. Visit the Housing & Residential Education office during business hours (Monday–Friday 8:00am-5:00pm). This is a common question we receive from parents/guardians. We greatly appreciate your involvement and support of your student living on campus. The housing contract is with the student and thereby the cost of housing is their responsibility. If a student has passed that responsibility on to another party, whether explicitly or inherently, then the student needs to take responsibility for releasing any information as well. 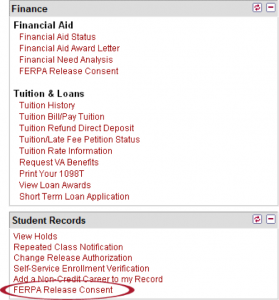 The university has a process for students to identify individuals that they would like to have access to certain pieces of information in the student’s record. Within Housing & Residential Education, students can use this online waiver form to release financial information. Student directions: If you would like to HRE and Income Accounting to discuss your financial information with your parent/guardian so they can pay towards your account, please log in to the Campus Information Services page and select the link “FERPA RELEASE CONSENT” in the Finance section on the right-hand side. Check Housing & Residential Education and Income Accounting as an area of release. Create a PIN (which the person you are selecting to release information to will need to know when they call the office).